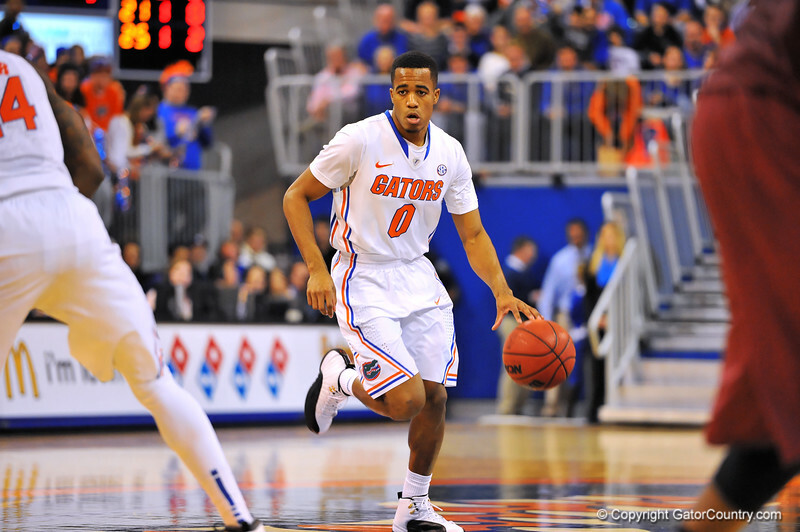 Florida guard Kasey Hill dribbles up court in the first half. Florida Gators vs South Carolina Gamecocks. Gainesville, FL. January 8, 2013. Gator Country photo by David Bowie.